The San Antonio Spurs very own Patty Mills will have his (No.13) jersey retired by his alma mater, St. Mary’s College during a halftime ceremony on Feb 21st at Mc Keon Pavilion. Patty Mills played for St. Mary’s College from 2007-2009, and in 2008 Mills was named to the All WCC first team for the second year in a row. 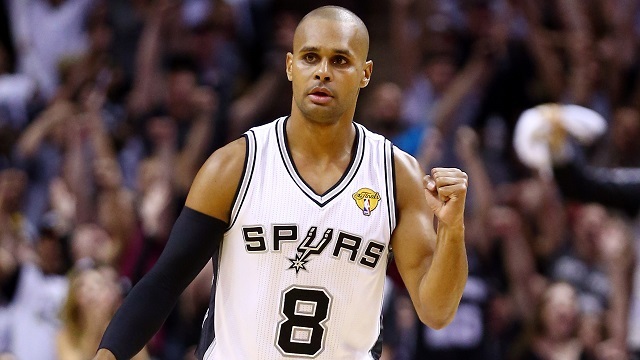 In 2008 Patty Mills averaged 18.4 points, 2.4 rebounds, 3.9 assists and 2.2 steals per game. Other accolades that Patty Mills carried was being named WCC Newcomer of the Year and also made the All-WCC first team. Congratulations are in order for Patty Mills on this great accomplishment and honor bestowed upon him by St. Mary’s College.